Co-Coordinator of the National Jericho Movement Jihad Abudulmummit rejoins us for this week's Political Prisoner Report to discuss the latest health crises facing the imprisoned. JARED BALL, TRNN: Welcome, everyone, back to the Real News Network. I’m Jared Ball here in Baltimore. Joining us again for this week’s political prisoner report is the co-coordinator of the National Jericho Movement, Jihad Abdulmumit. This week’s focus is on the health status of several political prisoners. But for more on the nature of these reports, we invite viewers who may have missed it to please review our previous segment with Jihad, who we now welcome back to the Real News. Welcome again back, Jihad Abdulmumit. JIHAD ABDULMUMIT: Thank you, brother Jared, and thank you, listening audience. Peace. Al-salaam alaikum, greetings. BALL: So we know that along with being held for so long in this country’s prisons comes concerns for political prisoners over physical and mental health, and getting adequate care for any ailments related to that incarceration, or just getting old, given all the time that they’re spending in these cells. Please, if you would, tell us a bit about who you’re covering today, and what the latest is regarding their conditions. ABDULMUMIT: Yes, okay. Thank you again, brother Jared. 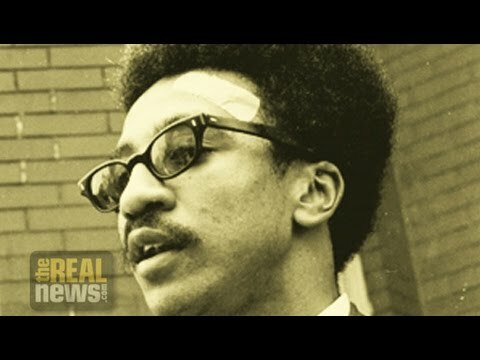 Today we’ll be talking about Imam Jamil Al-Amin, also known formerly as H. Rap Brown. Historically we might connect there. And we’ll be talking about Robert Seth Hayes, also one of our political prisoners. And we’ll be talking about a brother that we really want to present on this stage, and get his case more out there, Maumin Khabir, also known as Melvin Mayes. But before we do that with those three, I just want to just quickly paint a background about the importance of supporting our comrades, our freedom fighters, in prison, as well as all prisons, for that matter. You know, medical attention, if there’s medical neglect in prison is a big issue. We’re getting older, so what do we do about age? When we went to the UN in Geneva, one of the issues that we presented besides just a flat-out demand that our freedom fighters, our political prisoners be freed, was to tackle the angle of aging in prison, which is something that relates to all prisoners, not just political prisoners or revolutionaries in prison. What do you do when you’re aged? The burden on the state, just the humanity of deteriorating health and a lack of medical attention, either because of blatant neglect or because of financial stress on any particular department of corrections that has the money to keep us there but not the money to maintain our health in any type of significant manner. So I just want to paint that. That is a major issue across the board for all prisoners, not just political prisoners. But today we want to focus on, the first brother will be Imam Jamil al-Amin. Just glancing here, he’s at this address. He’s at the United States Penitentiary. His case started in Georgia. He’s at the United States Penitentiary serving a life sentence in Tucson, Arizona. He is, I just recently talked to his beautiful wife, sister Karima Al-Amin. And she just updated me saying that he’s receiving pretty good medical care, as far as the diagnosis–he has intermediate state myeloma, which you know is cancer of the plasma, of plasma cells in your body. And he has a disorder, if I can maybe just spell it out, Sjogren’s disorder. That’s [S-J-O-G-R-E-N-S]. And it’s a disorder causing dry mouth and other complications. He’s seeming to be receiving medical care. He is waiting for a petition to be answered very soon, a habeus corpus, that’s going to address his case, and would send his case back to the original court for a new trial. So Jamil Al-Amin has suffered greatly in prison just from a basic toothache. Last year we had to organize with other collaborations, organizations and mosques to get him simple dental care with an abscess in his mouth that was serving so much complications. You know, this is a situation that anybody could have simply went to the, the dentist on the street to do. But because of our incarcerated status, and you know what it may mean if somebody is a political adversary of the state, what that may mean as far as the attention. So we have to keep scrutiny on our sisters and brothers in prison to make sure that they’re literally not murdered by way of neglect. BALL: And if I may, I know we don’t have the time to properly deal with it right now, but I think if people go to the Jericho Movement website and learn more about his case, it’s important to point out that there is no statute of limitations on the state’s response to those who engaged in militant activism for freedom, even decades ago. Because there’s a lot of confusion around his case and how much of it was, was a holdover from when he was known as H. Rap Brown more popularly in the ’60s and ’70s. But please go ahead and continue, if you would. ABDULMUMIT: Yes, indeed. Thank you, brother. The second individual I’d like to talk about is Maumin Khabir. He is incarcerated at a federal medical center in Rochester, Minnesota at this particular time. He is suffering from severe COPD. In other words, I can’t breathe. He is–he is El Rukin, Republic of New Afrika Muslim political prisoner. In the system, he’s been down since 1986. Jericho has a medical committee that focuses on, I should have mentioned in the beginning, political prisoners Jamil Al-Amin, brother Maumin, and we talk about brother Seth also. For brother Maumin, I guess the contact for that would really be sister Paulette [Dauteuil], and we have [inaud.] also Black Liberation political prisoner, who is free, thank goodness for that. He is freed and working to free his other comrades. And a doctor, she’s really a pediatrician named Lana Habash in Boston, Massachusetts, is working on his particular case. But he has COPD, looking for a lung transplant. He will be in March having a final diagnosis to see if the antibiotics that he is taking for his condition has not caused the repair, so to speak, of his condition, just a little bit where he would not need a lung transplant. But we’re waiting on that. We also need help getting his sister to go from Chicago to Rochester, Minnesota to visit him. Now, he has COPD. His sister is legally blind. She’s also a frontrunner, a vanguard in the struggle out there in the street. And she’s definitely representing her brother in prison. Anybody wishing to help out financially with that, they can access our website, or they can contact any one of us through our website. That would be the best way, to keep it simple, with that time frame. ABDULMUMIT: Next is Seth–Robert Seth Hayes, who has so, so many complications in his later years. Another freedom fighter in the Black Panther Party and Black Liberation Army, captured in the ’70s. Has been down now 40-some odd years. He’s getting ready to go up to the parole board for the tenth time. In the next segment that we have we will be talking about the parole board strategies and legal strategies in some of our cases coming up over the next couple of months. But brother Seth, you know, hepatitis C, he has, he has diabetes, he has low blood pressure, and all these things. And a lot of it in the beginning teetered on just whether or not he would receive an extra meal to stabilize his sugar, to prevent him from falling out. And something as simple as that, a sandwich at night, a carton of orange juice, it took almost–a massive political campaign to get that, and they’re still not consistent with his medical treatment. So brother Seth is going through a lot. We’re initiating a campaign pretty soon, you can look at our website for that, the campaign for his support at the parole board. And hopefully everybody will be able to tune into that. But I just wanted to say that one of the initiatives that we had, not just with these three brothers that we mentioned, Imam Jamil Al-Amin, Maumin Khabir, and Robert Seth Hayes in New York State prison system, but the whole initiative of getting a third party doctor, besides a prison doctor, to look at medical issues, that’s one thing that Jericho was pushing in the United Nations in Switzerland for the last couple of years. And we’re pushing it now. We do have volunteer doctors to serve as a third party to diagnose these brothers’ and sisters’ conditions so that we can weigh in from the community, begin to put accurate pressure where it really needs to be. And having these doctors on board, we thank you, sister Lana, and everybody else that’s been working with this, these campaigns, for the work that they do to try to keep it in the public’s eye so that once again, our brothers, to not actually get murdered by medical neglect in prison. So the campaign is to try to always set up for political prisoners, and hopefully for all prisoners, for that matter, because in so many respects our case is all political, victimized by the system, of course. But to have it set up where we have a validated third party doctor, and a lot of this would be up to their support committees and their families to establish, but to have a process set up with a third party doctor to be able to weigh in directly with the medical doctor, or the PA, or whoever they’re dealing with inside the prison, to add that outside support, to make sure that justice is being done in any medical situation. BALL: All right. Well, Jihad Abdulmumit, we thank you again for joining us for this edition of the political prisoner report here at the Real News. Thanks again. ABDULMUMIT: All right, keeping it real. Thank you, brother Jared, and peace to everybody. BALL: And as was just said, I’m Jared Ball. For all involved here at the Real News in Baltimore saying, as Fred Hampton also used to say, to you we say peace if you’re willing to fight for it. So peace, everybody, and we’ll catch you in the whirlwind.